For other uses, see Osborne, South Australia. HMAS Hobart under construction at Osborne, 10 April 2015. Osborne is a suburb in the Australian state of South Australia located on the LeFevre Peninsula in the west of Adelaide about 21 kilometres (13 miles) north-west of the Adelaide city centre. Osborne is bounded to the south by the suburb of Taperoo, to the west by Gulf St Vincent and to the north west by the suburbs of North Haven and Outer Harbor and to the east by the suburb of Torrens Island. Osborne originally started as a private sub-division in Section 2015 in the cadastral unit of the Hundred of Port Adelaide. It was named after Captain R.W. Osborne (c.1834-1920). A portion was subsequently added to North Haven. The name was “formally submitted by the City of Port Adelaide at a council meeting held on 10 May 1945” and was formally adopted in 1951 by the Nomenclature Committee. Since 1951, its boundaries have varied as follows. A portion was renamed as North Haven while another portion was added to the suburb of North Haven. In March 2006, its boundaries were varied to ensure that the Osborne Maritime Precinct was within its boundaries. In August 2009, its eastern boundary was extended to the centre of the Port River. Osborneville Post Office opened around 1922; it was renamed Taperoo on 1 February 1964, and North Haven in 1989. Osborne was also known as Brooklyn after the name change from Osborneville. ASC Pty Ltd, a naval ship builder notable for the Royal Australian Navy's Collins class submarines and Hobart-class destroyers. Osborne Power Station, a gas-fired power station. Flinders Ports which has two port facilities located on the suburb's coast with the Port River. Osborne is the home of LeFevre Reserve, which also hosts a community centre. There are no schools in the suburb. The closest schools are in the adjacent suburbs of North Haven (North Haven School R-7) and Taperoo (Ocean View College B-12), (originally Taperoo High School). Adelaide Metro provides two bus services that directly serve the suburb - route 333 that runs between the suburb and Port Adelaide and route 150 that starts on Victoria Road within the suburb and continues to the Adelaide city centre. The Outer Harbor railway line has two stations that serving the suburb - Midlunga railway station and the Osborne railway station which is located nearby in the suburb of North Haven. 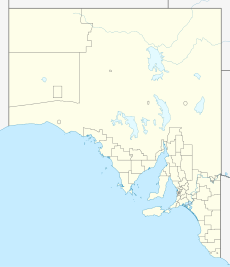 Osborne is located within the federal division of Port Adelaide, the state electoral district of Port Adelaide and the local government area of the City of Port Adelaide Enfield. ^ For the 2016 census, the ‘State Suburb of Osborne’ consisted of the part of the suburb of Osborne south of Mascotte Street. Mascotte Street branches off Victoria Road towards the Port River in the east. The remainder of the suburb was included in the state suburb of Outer Harbor which had population of 12 people. ^ a b c d e f g h "Search results for 'Osborne, SUB' with the following datasets selected - 'Suburbs and localities', 'Counties', 'Hundreds', 'Local Government Areas', 'SA Government Regions' and 'Gazetteer'". Location SA Map Viewer. South Australian Government. Retrieved 9 February 2019. ^ a b Australian Bureau of Statistics (27 June 2017). "Osborne (state suburb)". 2016 Census QuickStats. Retrieved 9 February 2019. ^ a b c d "Port Adelaide electorate boundaries as of 2014". Electoral Commission SA. Retrieved 11 May 2016. ^ a b c "Monthly climate statistics: Summary statistics PARAFIELD AIRPORT (nearest weather station)". Commonwealth of Australia , Bureau of Meteorology. Retrieved 11 December 2018. ^ "Osborne, Nomenclature". Place Names of South Australia. State Library of South Australia. Retrieved 1 July 2016. ^ "About ASC". ASC Pty Ltd. Retrieved 17 June 2015. ^ "ATCO Power Australia". ATCO Ltd. Retrieved 17 June 2015. ^ "Port User Guide" (PDF). Flinders Ports. pp. 21–24. Retrieved 17 June 2015. ^ "Osborne to City". Government of South Australia. Retrieved 17 June 2015. ^ "Outer Harbor to Port Adelaide". Government of South Australia. Retrieved 17 June 2015. ^ "Outer Harbor to City". Government of South Australia. Retrieved 17 June 2015. ^ Cite error: The named reference AEC was invoked but never defined (see the help page). This page was last edited on 12 April 2019, at 00:09 (UTC).